Fuzzy lovebugs playing in a tunnel! 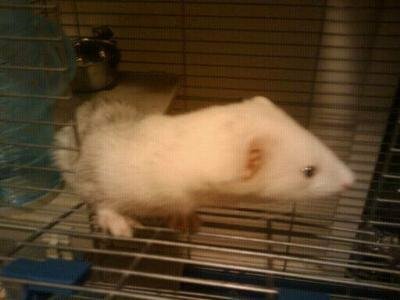 I have 2 ferrets rico and thunder(the picture is of thunder)and in their cage they have a bunch of tunnels. So one morning i wake up 2 hear their cage shaking I looked over and they were both in the same tunnel Rico going up Thunder going down and guess what they got stuck! But as soon as I opened their cage thunder slipped out and ran towards me wanting to play but rico lazy as he is curled up in his hammock and had a nap!